Displaying 121-160 of 176 results. 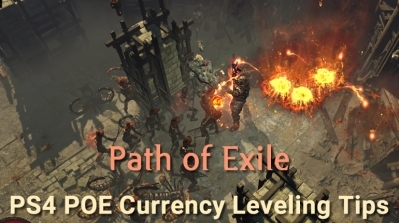 The currency system in Path of Exile involves a number of different orbs and scrolls. 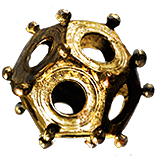 The main currency for Path of Exile is Orbs. POE Currency includes Chaos orbs, Exalted orbs, Orb of Fusing and so on. 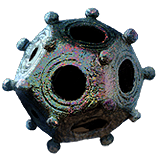 Orbs are used instead as a form of currency for trading with merchants and other players, allow restructuring the Path of Exile character's passive skill tree in the situation from the Orb of Regret. So, Orbs are your Meaning of investing in Path of Exile. Why Need to Buy PoE Currency? Grinding currency in PoE has been an important part of this ARPG, going to all the way back to Path of Exile Legacy league. Some of the players would be proud of their ability to farm currency in Path of Exile and would enjoy the process of farming money. But we can not deny that all players would like to spend a lot of his free time to make money, moreover, it's not as easy as you think to farm, and you should always keep a certain amount of currency(orbs) on your account so that you can catch up with other PoE players in the game. If you want to buy Path of Exile currency, you should choose a trustworthy website like R4PG.com, then you’re good to go! How Can I get the PoE Currency? You can Farm and Trade. Yes, we are able to farm orbs in the game with our hard work, but are you aware of the time you have to invest in farming? After you have the relevant orbs, you'll be able to focus better and take part in the game easier. 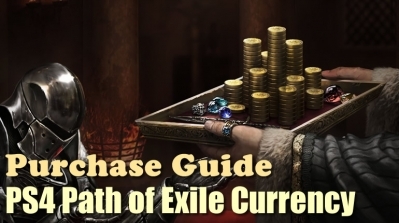 Buying and selling is really a major part of Path of Exile and also the unique crafting currency product is usually in the center on most deals. As the trade funnel is crazy busy, it's often so overwhelming that players can't use it efficiently. Time is the most precious thing in the world, why not to buy POE Currency from R4PG, which will be the most dependable method of getting orbs when possible. R4PG Internet Game has the professional Technology Team and Sales Team. With the fast development of world internet technology, we can provide Chaos orbs, Exalted orbs and so on. No matter which reason our customers buying POE Orbs for, R4PG can assure them that they will get the one. 1. How many time it usually takes if I buy currency from R4PG? Usually, it will take 15-30 mins after you placed an order on our website, and if you didn't get your currency within the time limit, you will get some extra currency as compensation. PS. Compensation depends on the species and amount of PoE Currency you buy from R4PG. In-game, Face to Face: Our staff will meet your character in-game with our own characters, then we will deliver the currency to you, this would be the safest method to trade in PoE, just like you and your friend making an exchange in game, it will not be detected by the official. 3. What if I made a wrong order on R4PG? 4. What payments are acceptable? Common Payments: Paypal, Credit Card, Debit Card and the Western Union. You can check more payments information and refund policy on our Help Center. 5. Do R4PG always have a full stock of currency? In most cases, we have a full stack of PoE Currency on our accounts, you can make an order as you wish, if you are still worried about that, you can talk to our customer service staff to verify. GGG officially released the PS4 version of the Path of Exile on March 26 2019. This free rpg game not only attracted a large number of old players, but also successfully won many new ps4 players. If you want to buy ps4 poe currency, R4PG is your best choice ! The Witch is Path of Exile's pure intelligence class. 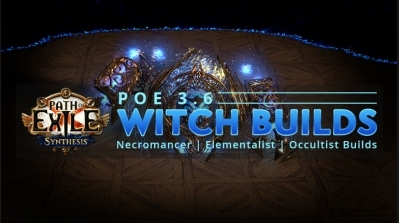 R4PG lists some PoE Synthesis Witch Necromancer, Elementalist, Occultist Builds for starter that can help players quickly leveling, funny and interesting. Fast Delivery We understand the importance of fast delivery and our dedicated staff will do everything possible to get you your Path of Exile Orbs order as soon as possible. Best Price We offer the product you want at the price you deserve. We pledge to offer you the best service and best POE Orbs product at the best prices! 100% Safe We Trade delivery method 100% safe and will take responsibility for that, we are experienced in the business and we can ensure that every Path of Exile Items order could be processed smoothly and efficiently. Refund In the process of purchase, if we do not fulfill the customer's Path of Exile Currency order on time, a refund will be granted. The refund will be issued immediately.